With KONTAKT 6, you can sound like a snare drum, a symphony orchestra, or anything in between, from a universe of sampled instruments. It’s a simple sampler when you want it to be, and a deep sonic scripting laboratory when you need something more. The next generation of the world’s favorite sampling platform gives you new instruments and new features under the hood – so you can layer, link, stretch, and shape your sounds any way you can imagine. KONTAKT 6 introduces the KONTAKT Play Series: Sonically rich sample libraries that combine powerful sound design with simple playability. Each offers eight intelligently mapped macro knobs giving you a wide-sweeping, intuitive range of control. They all showcase KONTAKT’s new wavetable module, each offering two blendable sound sources and a unique take on a speciality style. Iconic 20th century hardware synthesizers captured with an intricate level of detail, and creatively processed with seminal outboard effects. This hybrid analog/digital instrument utilizes blendable sound sources to deliver a modern take on classic electro and synthwave, which have seen a resurgence in recent cinema. Hybrid organic/electronic instrument that takes myriad acoustic instruments from around the world, and combines it with digital synthesis, organic foley layers, and effects processing. The result fuses traditional and digital, with basses, strings (bowed and plucked), wind instruments, tuned percussion, bells/metals, pads/drones, leads, and textural ambiences. A contemporary, creative, and ultimately new take on keys and piano sounds. HYBRID KEYS moves away from conventional sampling processes and instead focuses on inventive techniques such as re-amping, creative mic positioning in interesting spaces, and vari-speed experiments with tape. 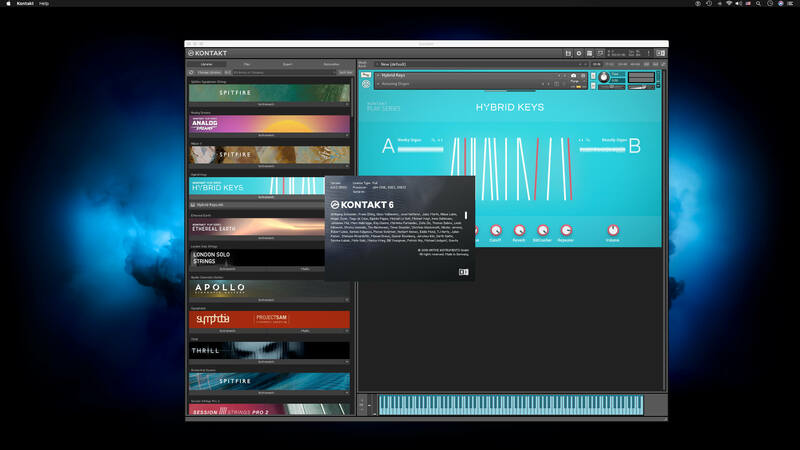 KONTAKT has long since grown beyond its origins as a software sampler, and now provides a solid foundation for building advanced sample-based instruments. 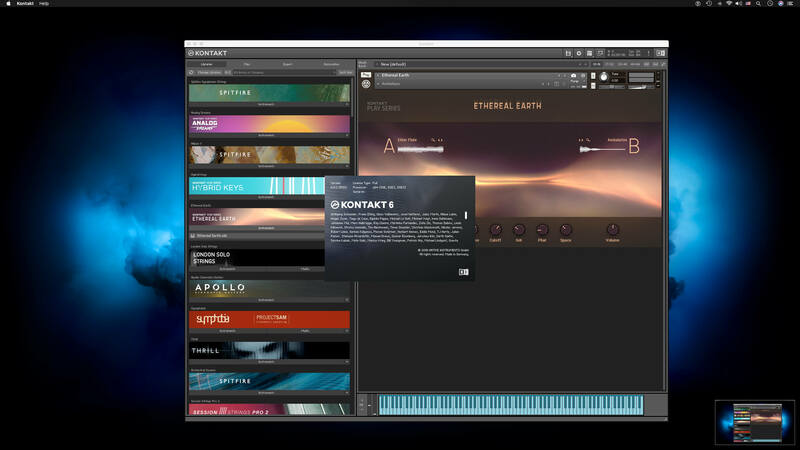 We’ve been supporting this platform, and the people who use it, with continuous updates to KONTAKT 5, and KONTAKT 6 builds on this strategy with some big additions for you builders out there. Replika Delay: Based on the dedicated Native Instruments plug-in REPLIKA XT, it offers multiple delay modes, each with a vastly different sound character. Room Reverb: A new high-quality algorithmic room reverb that offers options for real time modulation. Hall Reverb: Another high-quality algorithmic reverb, tuned for hall sounds. Plate Reverb: Emulates a plate reverberator for for classic vintage metallic sounds. Cry Wah: Wah-wah effect module, based on the most popular wah pedal of all time. 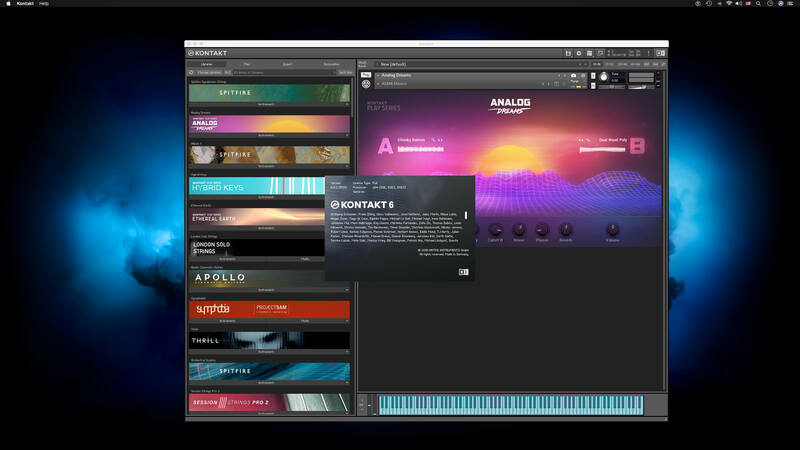 The latest version of KONTAKT adds wavetable synthesis to the ever expanding KONTAKT toolset. All three of the new Play Series instruments incorporate this new module, and we’re looking forward to hearing what you create with this powerful new building block. Creator Tools is a standalone application designed to improve the workflows of library builders and instrument creators. It consists of two elements: A Debugger, for identifying and fixing problems in KONTAKT script, and an Instrument Editor, which can load and run Lua scripts to automap samples, duplicate and batch rename groups, and copy settings from one part of an instrument to another.